ASML, the company known for producing equipment for the manufacture of processors and semiconductors at foundries, has started to ship its new Twinscan NXT:2000i DUV (Deep Ultra Violet) scanner that matches overlay performance of the company’s Twinscan NXE:3400B EUV (Extreme Ultra Violet) scanner. The new machine will be used to make chips using 5 nm and 7 nm nodes and will be required by makers of semiconductors who will have tighter overlay requirements and will have to mix-and-match overlay capabilities between different types of step-and-scan systems. When leading manufacturers of chips start to use Twinscan NXE EUV lithography scanners for their 7 nm and more advanced process technologies in the coming quarters/years for some of the metal layers for the processors, DUV equipment is still required for other layers (for example, GlobalFoundries first version of 7nm is DUV only). Different makers of semiconductors will have their own specific requirements for their 7 nm and 5 nm process technologies particularly when it comes to on-product as well as mix-and-match overlay capabilities. 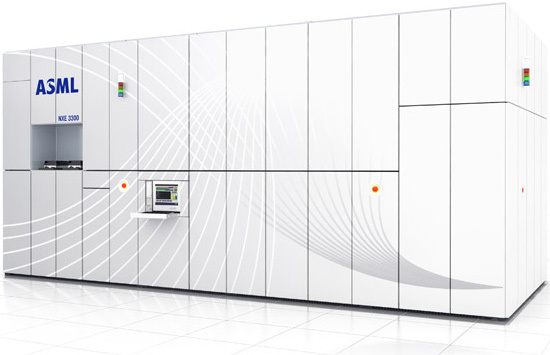 Being a producer of step-and-scan systems, ASML develops equipment with generic requirements in mind: for a 7 nm node there is an on-product overlay requirement of 3.5 nm, so scanners have to support an overlay budget of 2.5 nm. Such requirements are achievable on ASML’s Twinscan NXE:3350B as well as the NXT:1980D tools. For 5 nm nodes overlay requirements will be tighter: ASML says that it is working with an on-product overlay requirement of 2.4 nm, which means that its scanners will have to feature an overlay budget of 1.9 nm. This numbers have been achieved by the NXE:3400B as well as the NXT:2000i machines. 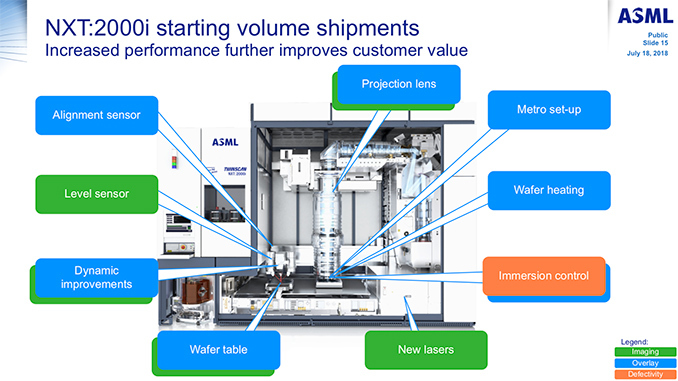 ASML started volume shipments of its new Twinscan NXT:2000i step-and-scan systems last quarter and will ramp up production of the new tools in the coming years. Traditionally, the company does not disclose MSRPs of its equipment as final prices depend on multiple factors, including volumes. Lucky you, I bet it was (is?) fascinating work. Yes it is very interesting, and really difficult to understand. I build the part of the machine that measures the position of the chuck and houses the big lens. I don't even understand all the other submodules haha. A dreadful lack of RGB LEDs.